A friend asked me what I thought of the recent Green Mountain Power (GMP) contract to purchase electricity from Seabrook Station. My blog yesterday on the Seabrook contract has links, charts, cost comparisons and so forth. Today, I decided to share my note to my friend, amended for this post. Yes Nuclear! Yes Inexpensive Electricity! You sent me a link to Emerson Lynn's blog post about the Seabrook contract and asked my opinion. Yes, I am glad to see this agreement between GMP and Seabrook. I am happy to see a good power purchase agreement for Vermont, and since I am pro-nuclear, I am glad to see power coming reliably from another nuclear facility. I don't consider the difference in price to be substantial: VY bid 4.9, but VY could probably match the Seabrook price (4.7 cents) especially if VY can sell the rest of their power at market prices. In his post, Lynn describes the "negotiated deal" with HydroQuebec (HQ). The only deal so far with HydroQuebec replaces the power from current HQ contracts: those contracts end in 2016. 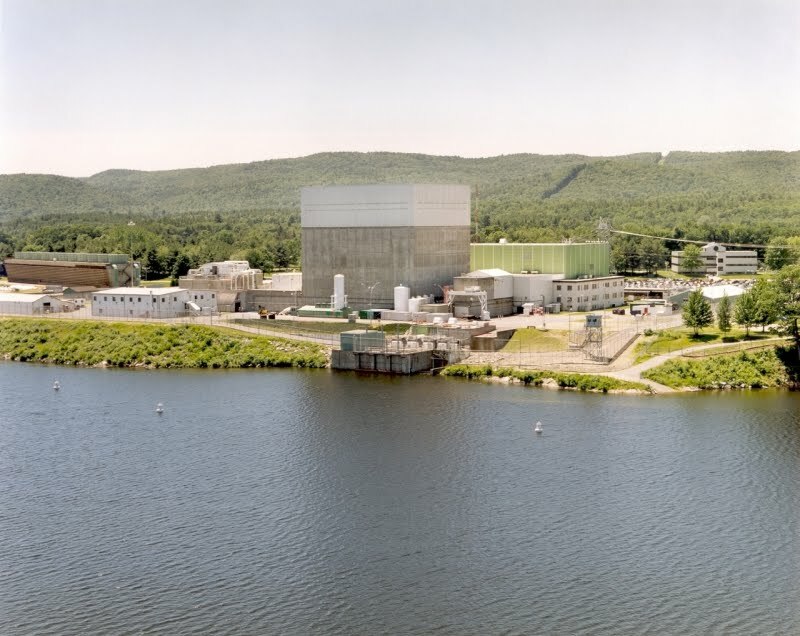 The new HQ deal does not replace any Vermont Yankee power. This Seabrook contract also only replaces some of the power from Vermont Yankee. 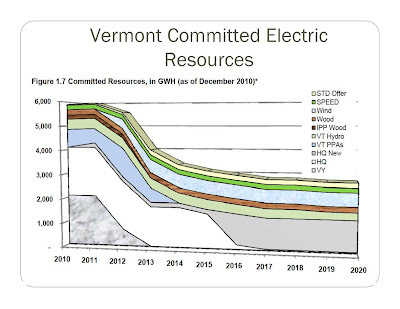 There is still a gap in Vermont's power supply for the future. In other words, many of the uncertainties have not been removed, and power prices are still capable of rising if Vermont Yankee is not in the mix. Much power is bought "at the market" and taking low-priced supplies out of the mix will affect the price. Still, the Seabrook purchase news is basically good news, and very hopeful for Vermont's future. At another level, this news is also troubling. It shows a NIMBY attitude that I don't like. "We hate nuclear plants in-state, but we are delighted with cheap power from out-of-state nuclear plants." A friend of mine asked if Vermont is going to end up with hydro plants and nuclear plants lined up on our borders in neighboring countries and states. They would provide Vermont's baseload supply, while Vermont builds nothing by wind turbines. I am sorry to say this could happen. Aside: Actually, Vermont is not even building wind turbines. It is buying wind turbine power from New Hampshire. GMP made a recent deal for the output of a wind farm in NH, while GMP's Vermont wind project, Lowell Mountain, appears stalled by local opposition. End aside. The power plants lined up on Vermont's borders will pay taxes and fees to their own states or countries, not to us. They will employ people in Canada or at the New Hampshire seacoast, not Vermonters. The power grid will still have to adjust to the new sources of power, certainly raising some transmission costs. In other words, the purchase from Seabrook is good news, but doesn't mean we don't need Vermont Yankee. So, this business of "gosh, we have low-cost power so we are saved" means that "gosh, we have some low-cost power so maybe we are back to having only the economic losses predicted by the studies." That's $60 to $100 million a year loss in economic activity and about $10 million in taxes, including the Clean Energy Development Fund. The economic loss is a big problem, but maybe not the biggest. Howard Shaffer is fond of saying that Vermont Yankee is Vermont's fair share of the grid. We can't just take from the grid; we have to give back. As a fair share, VY is quite benign. No coal trains, no flooded valleys, no NOx from gas turbines. However, as I see Vermont right now, though people talk about "community" this or that, many really don't see themselves as part of a community about electricity or jobs or pretty much anything. When I mention job loss if Vermont Yankee closes, one or two enterprising types in the audience will challenge my statement. They will stand up and with a bit of a smirk, remind me that many people who work at Vermont Yankee live in neighboring states. In other words, the loss of a job by a person who lives in Massachusetts but works in Vermont is not a loss that should concern Vermonters. This attitude drives me nuts. We buy our power from HQ in Canada. We buy nuclear power from New Hampshire, and even buy wind electricity from New Hampshire. We want to take and take and never give back a kWh to anybody else. The rest of the world exists to supply us. To me, this is beyond an electricity problem. This is a spiritual problem. I truly worry about this state. Well! Thank you for asking my opinion, though I probably gave you FAR more opinion than you wanted! 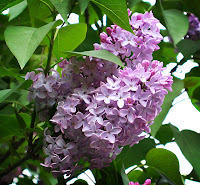 It's a lilac image because I have a beautiful lilac bush in full bloom right next to my study window. 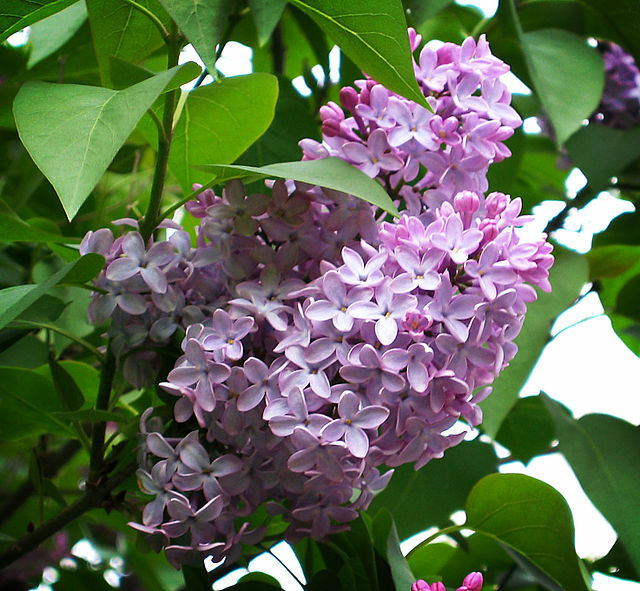 You can think of the illustration as lilac stationary for a note to a friend. Yesterday Green Mountain Power (GMP) announced a deal to buy electricity from Seabrook Station in New Hampshire. 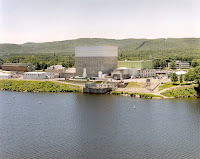 The deal was at a very good price, 4.66 cents per kWh, less than Vermont Yankee's recent offer price of 4.9 cents, and far less than the 5.8 cents from Hydro-Quebec that led to general rejoicing earlier this year. The GMP-Seabrook contract is for 23 years. However, Seabrook's license is up in twenty years. 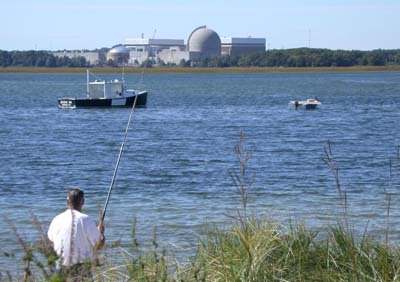 Seabrook, like Vermont Yankee, is a top-performing plant and New Hampshire doesn't have an Act 160. So I guess signing for twenty-three years is okay for a plant in New Hampshire. Assuming they continue to operate well and get an NRC license renewal, New Hampshire will not stop Seabrook from operating. So, approximately 60 MW of the 200 MW of Vermont Yankee's instate power will now be replaced by Seabrook power at good price. In Vermont, rejoicing has begun, as shown by Emerson Lynn's post A Nuke Deal for Vermont: the Price is Right at Vermont Tiger. With low prices for IBM, IBM will stay in Vermont. So will Green Mountain Coffee Roasters. The price in this contract is certainly right, but it is a price I am sure Vermont Yankee could match. Still, 60 MW purchased from Seabrook instead of 600 available from Vermont Yankee (counting the power used by the neighboring states) leaves a significant hole in the power available to the grid. 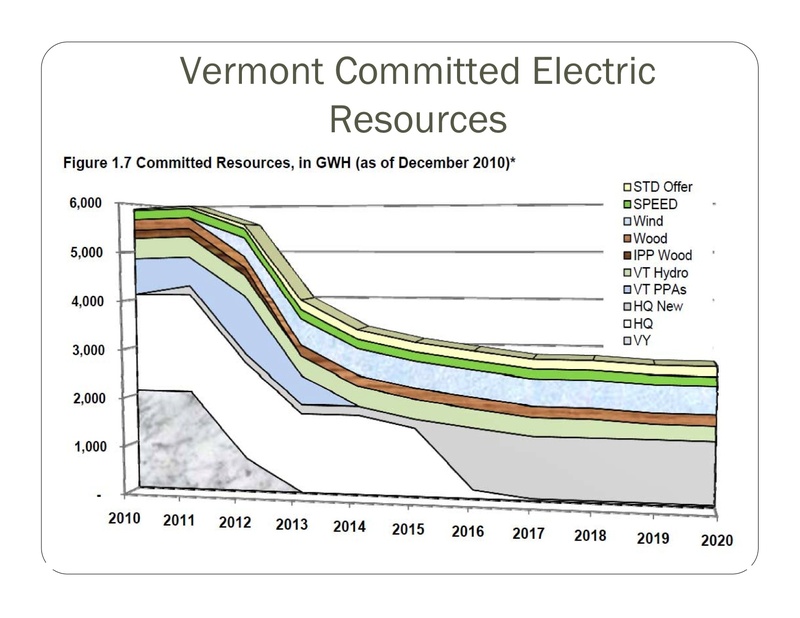 Once again, I use the Department of Public Service graph for electricity supply for Vermont to illustrate. The filled-in areas in the chart below are committed resources. There's a lot of blank space, not filled in, to the right of 2012. Seabrook's 60 MW is not going to fill it. Also, in my opinion, the power supply situation is worse than it appears on this chart. Note that the light-blue area near the top expands from almost nothing right now to about 500 GWh in 2016. This is wind energy. But wind energy is simply not coming on-line quite that fast, as I see it. Also, recent studies have shown that capacity factors for inland wind farms are far lower than expected. In a recent blog by Willem Post at the Energy Collective, he notes that measured wind turbine capacity factors in Maine and Vermont have been about half of what might be expected. Therefore, in my opinion, this chart overstates the amount of wind energy that will be available within three to five years. As usual, double-click on the chart to see a bigger version. Have We Been Saved By Seabrook? I don't think so. I am delighted that we will be getting some power, clean reliable nuclear power, at a good price from our neighboring power plant. This may keep the price of electricity down in the region. It will certainly help lower the price of electricity sold by Green Mountain Power. (I buy my power from Green Mountain Power, so I'm happy!) However, there's going to be a lot of power bought at the market prices if Vermont Yankee closes, which is why we have this quote from Green Mountain Power. "This power contract isn't about Vermont Yankee," said Mary Powell, president of Green Mountain Power. "As we all know, Vermont Yankee is trying to work its way through their challenges, from a legal and regulatory perspective. If they manage their way through that, we've always seen that it would be our desire to have conversations with them." Job loss is estimated at 1100 to 1300 jobs. Tax loss is $6 to $12 million a year. These facts have not changed. Closing Vermont Yankee will still have a devastating effect on the economy of southern Vermont. This is true even if we buy some power at a good rate from another nuclear plant. End Note: I had a post yesterday at ANS Nuclear Cafe about solar and the grid. I feel that people need to understand the role of the grid in net-zero solar installations. Update: Art Woolf blogged at Vermont Tiger yesterday about this purchase and reliability. Woolf's post started with James Moore's of VPIRG's statement: We’d prefer to see our state’s utilities moving away from all forms of dirty and unreliable power, including nuclear energy. Second Update: NEI Nuclear Notes also has a good post on this: Replacing the Foot You Shot Yourself In. The 53rd Carnival of Nuclear Energy Bloggers is up at Cool Hand Nuke today. Once again, it is a wide-ranging group of blogs, including the questions of whether natural gas will save us (Nuclear Green), whether future ships will be powered with fission (Atomic Insights) and the hopes of Waste to Power, aka recycling (Canadian Energy issues). The Blue Ribbon Commission shows Failure to Launch (Idaho Samizdat) and gets some advice from nuclear bloggers (ANS Nuclear Cafe). Next Big Future looks at new types of reactors, and also points out that China is getting into the business of exporting reactors. Cool Hand Nuke itself blogs about the fact that Fukushima has had pretty minimal effects on new nuclear builds, except of course, in Germany. 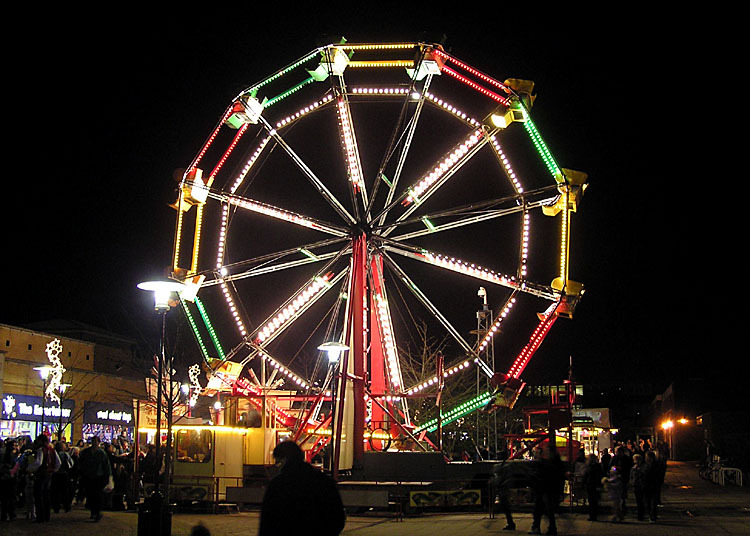 This Carnival also introduced me to a new blog, Deregulate the Atom, by Rick Maltese, with many distinguished guest bloggers. 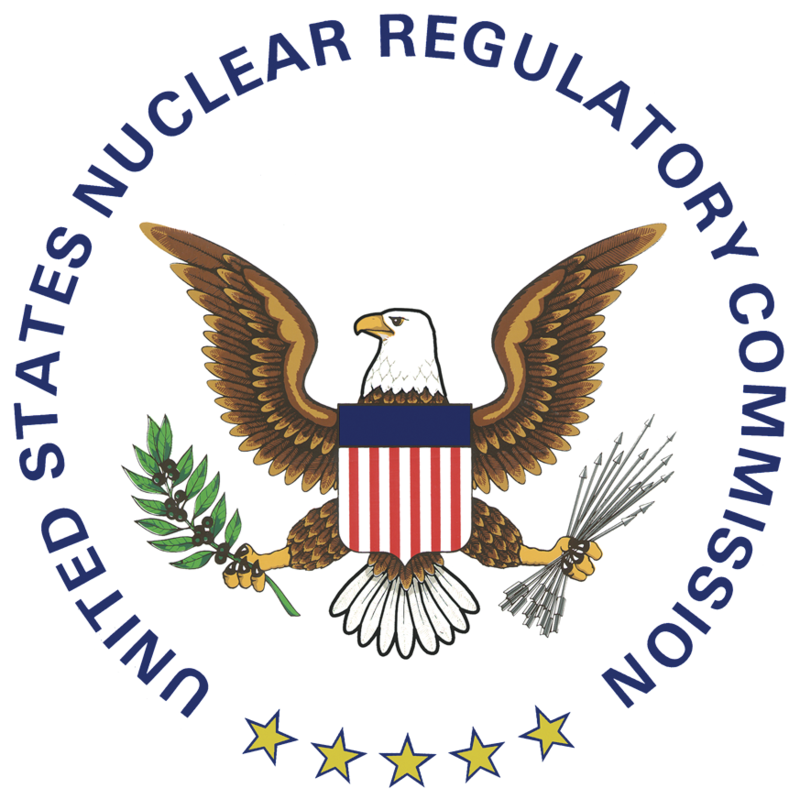 Deregulate the Atom is a well-established blog, with provocative posts such as NRC hearing: Yucca has become inconvenient distraction to other performance issues. I think it is not a new blog, it is just new to me! At any rate, welcome, Rick Maltese, to my pro-nuclear blog roll! Today, at ANS Nuclear Cafe, Dan Yurman has put together a Blue Ribbon Panel of Nuclear Bloggers. In the post Advice to the Blue Ribbon Commission, eleven bloggers give advice to the Blue Ribbon Commission formed by President Obama. If you remember, President Obama traded "closing Yucca Mountain" to Nevada Senator Henry Reid in return for Reid's support in the Senate. Canceling the Yucca Mountain repository was probably great for Obama in the Senate, but when the utilities saw that there was no plan for the government to remove spent fuel (and the utilities had paid the government billions of dollars to do exactly that), they began suing the government for their money back. The obvious answer was to appoint a commission to study the matter. Obama did so. The Commission decided the matter needed even more study. In the post at ANS Nuclear Cafe, the Nuclear Bloggers (I am one of them) give the Commission some honest and pithy advice. After all, fuel recycling is a known technology. Other geological repositories for high-level materials are operational. All the Blue Ribbon Commission had to do was make a decision. Act 160 is the Vermont law passed in 2006 that gives the legislature the power to refuse a Certificate of Public Good to Entergy, therefore preventing the plant from operating past March 2012. This law was a substantial amendment to the agreement (Memorandum of Understanding) that Entergy had signed in 2002 when it bought Vermont Yankee. That Act 160 substantially changed the contract is one basis for the Entergy lawsuit. Immediately after the suit was filed, Peter Shumlin claimed that Entergy had supported Act 160. He was surprised that Entergy went back on what they said at the time and sued about something they supported. You can see him saying this in the following clip from True North Reports. The part about Act 160 starts at about the 3.40 minute mark. In a blog post in late April, I said that Entergy had not supported Act 160. In that post, I referred to my search for evidence that Entergy had supported Act 160. I found only evidence that Entergy had fought it, albeit without a lot of flair and energy. I found a few quotes from Brian Cosgrove of Entergy opposing Act 160. In that blog post, I asked people to give me more evidence about Entergy and Act 160 if they could find it. On May 8, the Times Argus published a front page article, written by Peter Hirshfeld, titled "Who Said What? And Does It Matter?" The article is unfortunately behind a paywall (I can't link to it) but Hirshfeld found Brian Cosgrove of Entergy making the same negative comments about the bill that I reported in my blog post. Hirshfeld found more evidence, though. In four hearings about the bill, he found that Entergy lobbyists said very clearly that Entergy did not support the bill. On March 2, 2006, lobbyist Gerry Morris said: "This is my third time testifying on this issue and...we still oppose the bill." Since Shumlin said Entergy didn't oppose Act 160, he is either ignorant, or he is lying. ( I will let you choose whether he knows what happens in the Statehouse, or he doesn't.) As John McClaughry notes in a post: Shumlin's statement about Entergy supporting Act 160 is simply not true. The legislature breaks its own laws, while accusing Entergy of not respecting the law. If you remember, the Senate voted to not-allow the PSB to issue a Certificate of Public Good to Vermont Yankee. This vote took place in February, 2010. An election was held this fall, the legislature reconvened, and they never took up Vermont Yankee as an issue in the 2011 session. They acted as if that vote in February 2010 was the official and correct response to their own law, Act 160. “the general assembly shall consider concurrently the issue of storage of spent nuclear fuel… and the operation of Vermont Yankee nuclear power station after March 21, 2012 ,… and shall grant the approval or deny approval of such activities concurrently”. As John continues: "A plain reading of this statute requires that the general assembly – House and Senate, in the same biennial session – must either grant or deny approval for spent fuel storage and continued operation of VYNPS." They didn't vote. It's a new session, newly elected legislators, and they didn't vote. Only the Senate voted, last session. The "general assembly" did not vote. Act 160 does not allow the legislature to do a pocket veto of the plant. The legislature broke their own law. Ah well. The legislators' pants are on fire, but luckily, I live about fifty miles from Montpelier so the flames won't affect me. However, their foolishness might help Entergy win its lawsuit against Vermont, and that would be a Good Thing. The 52nd Carnival of Nuclear Energy Blogs is up at the ANS Nuclear Cafe. As usual, Dan Yurman has done a terrific job with the Carnival. I am so very impressed with the quality of work and influence that have grown out of the combined effort of the nuclear bloggers. Brain Wang did a detailed and thoughtful assessment of Deaths per Terrawatt of different energy technologies: his work was recently quoted in Time Magazine. Several people (myself included) analyzed and dissected the recent New York Times attack piece about the NRC. Cheryl Rofer analyzes what BEIR VII and other reputable sources say about low-dose radiation. Gail Marcus, who worked in Japan on nuclear regulation, describes how Japan is changing its ways on regulation. Charles Barton and Rod Adams discuss nuclear industry communications (maybe an oxymoron?) and note that people like George Monbiot are helping the conversation more than the industry is doing. Suzy Hobbs also has ideas on better methods of energy education. Other bloggers cover Fukushima, including covering the media coverage of Fukushima. Several bloggers note that the nuclear renaissance is still alive and well. Cool Hand Nuke writes "six reactors, no waiting" about U. S. reactor plans. David Bradish explains the FPL plans for Turkey Point. Brian Wang describes how China has now connected its second Chinese-design reactor to its grid. Several bloggers describe thorium reactor progress, and other advanced concepts. As I read this, I am amazed at how far the nuclear blogging community has progressed in a year, since the Carnival started. There are more of us. We overlap topics and support each other. We are quoted by the mainstream press. Our reach includes evaluation of other technologies in comparison to nuclear. Our topics are national and international, research progress and economic evaluations of new builds. The Carnival is an important voice for nuclear. The anniversary issue is terrific. Come for a visit! As I noted in yesterday's blog post about Japan and the New York Times, the New York Times published an article by Tom Zeller that described the NRC as a practically toothless watchdog:Nuclear Agency Criticized as Too Close to Its Industry. The article is one-sided and mostly quotes people who are associated with the Union of Concerned Scientist. It is really no surprise that Tom Zeller has left the New York Times and joined the Huffington Post, where this type of one-sided journalism will get more scope. According to news articles about Zeller's switch, HuffPo is probably paying him on the order of $300,000 a year. I don't think he is about to write a more balanced article about nuclear very soon. His NYT article was all he-said, where "he" was a nuclear opponent. I guess it is up to me to do the she-said article. I don't have time or resources to be as lengthy as Zeller, but I will make a start. I also recommend Dan Yurman's insightful article on the New York Times Barbeques the NRC. Example One: Exelon allowed pipes to get too thin at the Byron plant.The agency did not catch the problem until a worker was cleaning a pipe and he broke it. My take: the agency definitely should have caught the problem. The description in the article claims that the resulting leak shut the plant down for twelve days. The problem was caused by corrosion in the service water system. Service water causes reliability problems in many power plants. This is a reason why the agency should have caught the problem earlier, but it is also a reason that Zeller's description of the incident is overblown. "If enough pipes had ruptured during a reactor accident..." That's quite a reach: from service water corrosion to fear, uncertainty and doubt. Example Two: The NRC hired people in the 1970s. The Atomic Energy Commission (AEC), which developed and regulated nuclear, was divided into two agencies about forty years ago (mid-1970s). One agency, DOE, developed nuclear. The other one, the NRC, regulated nuclear. At that time, many years ago, people in the regulatory group of the AEC were moved into the newly-formed NRC. In Zeller's article, Peter Bradford said "there wasn't much of a change," because the NRC was started with people from the AEC group. The agency also started off with the rules they had developed in the AEC. My take: Huh? What did Bradford think they should do? Fire everyone and start making new rules from scratch? The new agency had a new charter without conflict of interest, and it started from the work done by the old agency. Sometimes I think Peter Bradford lives in an alternate reality. He doesn't show much understanding of how things are done in companies and agencies. Also, forty years ago might be just-yesterday to some people, but not to me. Yes, I am a grandma, but forty years ago is still a long time. Why would the personnel at NRC forty years ago be an issue worth mentioning in an article written this weekend? I guess he couldn't find anything current to criticize, so he decided the break-up of the AEC wasn't done well, and that was an important topic. Example Three: Vermont Yankee got its license renewal, despite "leaking tritium" and having the vote go against it in the Senate. Lochbaum views the situation with alarm. My take: My whole blog is about how Vermont Yankee is a well-run, well-regarded plant. Lochbaum asks "How can a plant like that get a license renewal?" Well, because it is a top-performing plant. I have a question also. My question is "How come only Mr. Lochbaum gets quoted about this plant?" Mr. Zeller. You could have asked me about this one. Example Four: Monticello and License Renewal. The problem seems to be that the NRC reviews forward-looking issues for license renewal and sometimes quotes the plant submissions directly in the renewal documents. My take: Aging-management assessment is the proper assessment for license renewal. Other license issues at a plant are reviewed on an on-going basis. Also, the fact that the license quotes some input from the licensee (a smoking-gun of collusion, in Mr. Zeller's opinion) strikes me as appropriate. Once you get a technical issue written correctly, you should keep using the same wording. Example Four: Fire-retardant material mandated after the Brown's Ferry Fire is not fire-retardant enough. My take: The industry adopted two levels of safety in response to one problem. The Brown's Ferry fire occurred in 1975 when a worker was inspecting electrical cabling with a candle, checking for drafts. 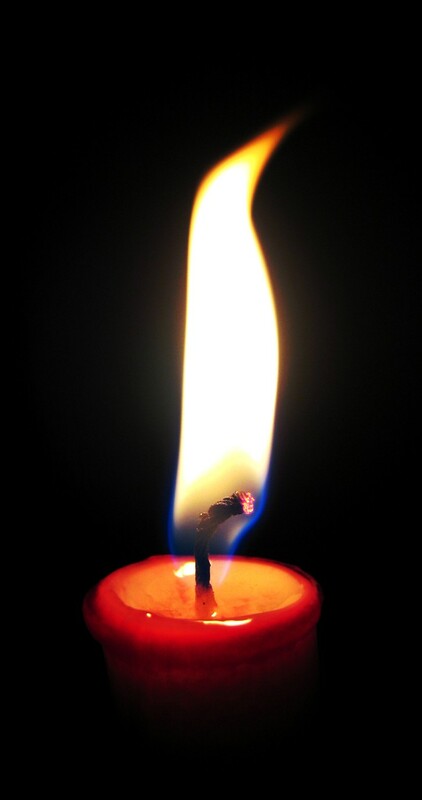 The first level of safety improvement was to forbid workers to do inspections with a candle! The NRC also required a second level, fire-barriers. Mr. Zeller says that the new fire-barrier material was not reviewed carefully enough. I am not an expert on barrier material, so I cannot assess this. On the other hand, the change in protocol was the important part. Without candles, there shouldn't be a problem with cabling catching fire. Example Five: The Davis Besse Reactor Head Inspection. This was a bad situation, where boric acid had eaten at the reactor head at Davis Besse. It led to shutdowns, lawsuits, criminal prosecutions and fines. Millions of dollars in fines. My take: This was a terrible situation. However, the aspect of the situation Mr. Zeller stresses is that Davis-Besse was able to persuade the NRC to put off an inspection until their next plant outage. I don't think this is fair to the NRC. At that point, Davis-Besse wasn't inspecting for thinning of the reactor head. (Photo from Wikipedia shows the famous hole-in-the-head.) The plant didn't expect reactor head thinning, and such a thing had never happened before. They were inspecting for cracks in nozzles, and it is quite possible that waiting until the next refueling outage for that inspection was the reasonable thing to do. I am not saying any of this was good. I am just pointing out that the situation was far from as cut-and-dried as it is presented in Zeller's article. I suggest a recent Dan Yurman post on the history of David Besse. More examples: At this point, the article is too muddy for me to assess. For example, after pointing out that reactors have been operated more safely in the last ten years (lower levels of worker irradiation, fewer scrams) Zeller jumps back to 1998 to make a point about a budget-cutting move in Congress at that time. Zeller also has two stories of NRC employees who used to work for industry, or later worked for industry. Neither story seems particularly compelling to me in terms of collusion or revolving doors or whatever. Buried in the middle of all of this is a short piece about how NRC inspectors insisted Duke do more inspections . At the end of the article, the time-line jumps around and congressional committee squabbles are reported upon as major events. I'm not going to try to review it. This article is not typical of the New York Times coverage, which usually strives for at least a he-said, she-said presentation of the facts. I am glad to see Mr. Zeller leave that newspaper. We will all be happier when the New York Times stops doing this type of reporting. In a blog post in late March, I suggested that the nuclear regulators and the nuclear industry in Japan might have a relationship that was too cozy. I contrasted this with the adversarial relationship between the NRC and the nuclear industry in America. I stated my thoughts about Japan tentatively, because I didn't want to bash the Japanese industry while they were having so many problems. Later articles about the Japanese regulators have confirmed my comments. Time Magazine described Japan's regulatory role as promoter (of nuclear power) and regulator (of nuclear power) as a conflict unusual in the nuclear world. In America, those two functions were split forty years ago: the Department of Energy develops nuclear power and the Nuclear Regulatory Commission NRC regulates its safety. On April 27, the New York Times described a Culture of Complicity in Japanese nuclear industry regulation, including earlier scandals. Nuclear bloggers come to the same conclusions as the mainstream media. 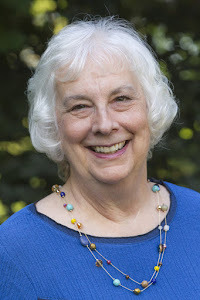 Gail Marcus is a former president of the American Nuclear Society and has served in many national and international nuclear agencies. She spent several months working in Japan on regulatory matters. 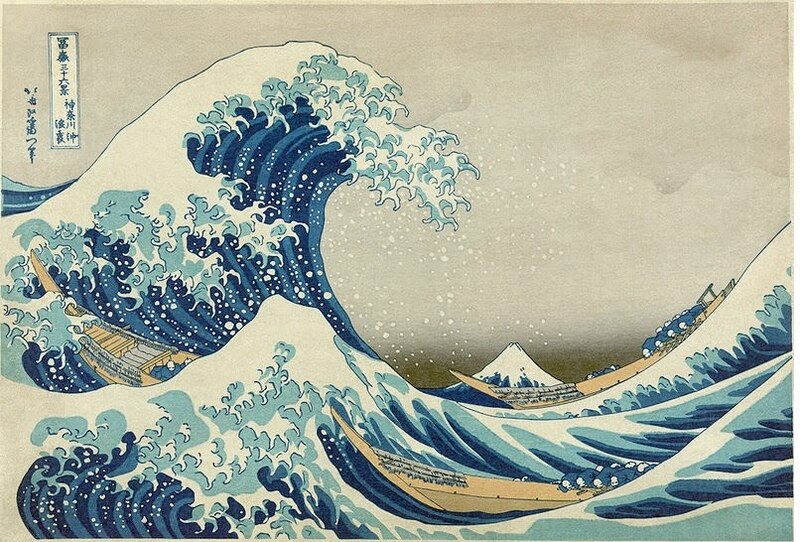 In her blog post, Fukushima and Amakudari, a Problem with a Long History, she discusses the amakudari system in Japan, where regulators are funneled into high-paying jobs within the industry when they leave the regulatory world. The agencies they work for help place their employees into industry jobs. This system is bound to lead to regulatory indulgence. Marcus ends her post with the comment: Many people feel that Chernobyl helped to topple the old Soviet Union. It would be fitting for Fukushima to topple amakudari. 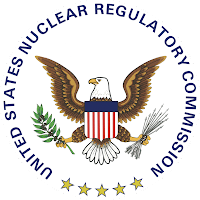 In the United States, the Nuclear Regulatory Commission....can choose from a pool of engineers unaffiliated with a utility or manufacturer, including those who learned their trade in the Navy or at research institutes like Brookhaven or Oak Ridge. In a blog post at the American Nuclear Society Nuclear Cafe, I described the extensive scrutiny of nuclear plants given by the NRC. The NRC gives each nuclear plant 5000 hours a year of technical inspection. Many more hours are spent if the plant applies for an extended license. I compared the NRC inspections to the confused work (lack of reliability due to tritium leaks which never caused the plant to go off-line?) of the politically-appointed Public Oversight Panel (POP). The POP was appointed by the Vermont legislature to investigate Vermont Yankee. Yesterday, however, the New York Times published a long article describing the NRC as a practically toothless watchdog, an agency in league with the industry it regulates. This article, Nuclear Agency Criticized as Too Close to Its Industry, includes a front-page picture of the cooling tower collapse at Vermont Yankee. The cooling towers are not safety-related equipment and were never part of the NRC inspections. Whatever you say about the cooling tower problems, they have nothing to do with the NRC, but they are front-and-center in this article. This New York Times piece was written by a Tom Zeller, a NYT reporter covering Alternative Energy and Green Business, not by the Times reporter, Matt Wald, who has covered the nuclear industry for years. Wald can be a harsh critic, but he is always knowledgeable and even gives an on-line course in nuclear energy. Dan Yurman has an excellent blog post on the Zeller article, NYT holds BBQ at NRC. 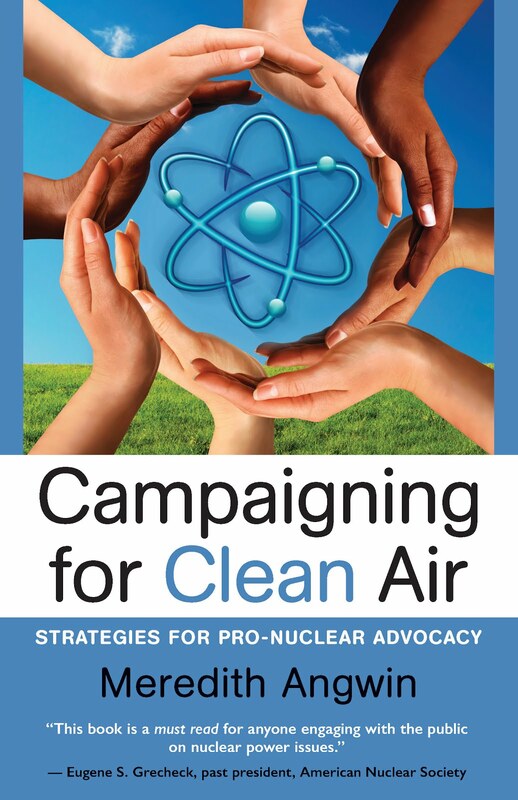 Yurman points out that Zeller mainly interviewed people who are well-known for their anti-nuclear bias: Lochbaum at Union of Concerned Scientists and Peter Bradford of Vermont Law School. Zeller also interviewed George Mulley, a former NRC employee who feels that the agency doesn't assess enough fines. The article has only a short quote from Marvin Fertel of NEI defending NRC. That quote is nearly at the end of the long article. Well, that's nice. Perhaps Zeller could have explained why even the critics say it "should not be compared." Perhaps because President Obama used the NRC as a model agency when re-organizing the Minerals Management Service? A few more words on this might have led to a better article, with a little more perspective. I usually don't like articles to be "he-said, she-said." However, when I read this article, I suddenly saw the virtue of quoting both sides of the story, even when the reporter doesn't try to make sense of their differences. Zeller could have quoted both sides. He didn't. His article is more of an opinion piece than any attempt at solid reporting. Looks like She Said will be up to me. Tomorrow. Two important posts cover the NRC in this country and its equivalent in Japan. David Bradish reports on hearings about the NRC in the House of Representatives, while Gail Marcus, who lived and worked in Japan, explains the long history of the too-close relationships between regulated industries and their regulators in Japan. Come to the Carnival. Politics and cutting edge research. Follow-the-Money and five years of collaborative effort on thorium reactors. It's a treat for all! Post Script: I looked at my blog and realized I haven't posted since I announced last week's Carnival. I have excuses, of course. I think this is the only full-week gap in over a year of blogging. However, as Scarlett O'Hara said: "Tomorrow is another day." The 50th Carnival of Nuclear Energy Blogs is posted at Next Big Future. Several bloggers discuss lessons learned from Fukushima, or Fukushima's probable effect on the future of nuclear energy. Others describe controversies about the 25th anniversary of Chernobyl. One blog post at Next Big Future uses Union of Concerned Scientists reasoning (linear no-threshold) for radiation to decide whether commercial aviation or Chernobyl has caused more cancers and killed more people by cancer over the last 25 years. Radiation exposure from people taking airline flights is more deadly by far--with this reasoning. The Union of Concerned Scientists comes up with 9000 excess cancer deaths from Chernobyl. Same reasoning gives 100,000 deaths from commercial aviation radiation over the same time period. Both sets of reasoning are fallacious. They are built on the Linear No Threshold model. Once again, the Carnival contains everything. You'll be encouraged as Barton looks forward to molten salt reactors, angered along with Adams as he looks at the NYAS report (it starts with the admission that scientific and statistical methods were not followed), interested in the consolidation of nuclear generating companies in the U. S. (Exelon-Constellation), and eager to follow the latest news from Vermont. Come to the Carnival! Have a good time!